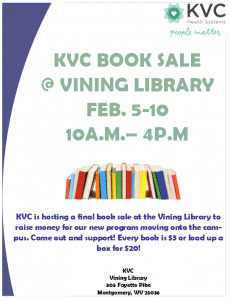 KVC is holding a Book Sale at in the Vining Library on the campus of the former WVU Tech University in Montgomery. As KVC make room and transitions into an educational academy for children who were raised in a foster home, they are selling off ALL the old books. Great deals! 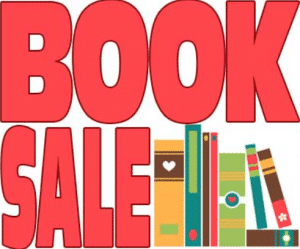 The sale is February 5-10, 2018 from 10:00 a.m.- 4:00 p.m.
Every book is $3.00 or just load up a whole box for $20.00. Call 304.415.8286 to learn more.